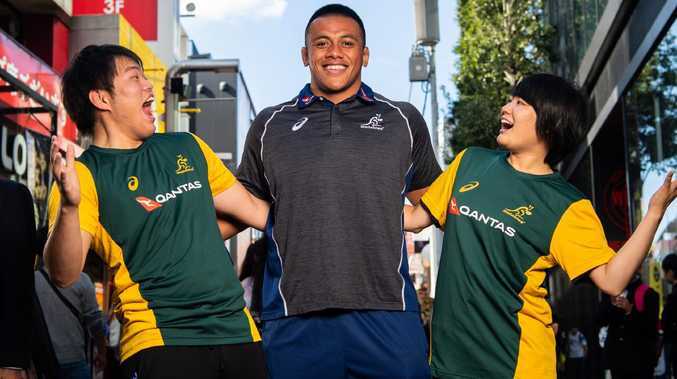 WALLABIES scrum cornerstone Allan Alaalatoa has signed a four-year contract extension, keeping him in Australian rugby through to the 2023 Rugby World Cup. 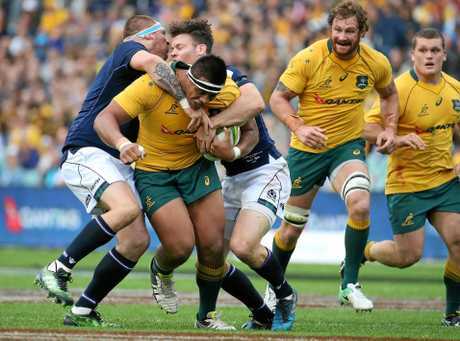 The 24-year-old tighthead prop says he rejected interest from overseas clubs to stay long term with the Wallabies and Super Rugby's Brumbies. Big and mobile, Alaalatoa has amassed 30 Test caps since his debut in 2016. He is currently holding off the challenge for the Wallabies starting spot from rising star Taniela Tupou and 100 Test veteran Sekope Kepu as Australia prepare for their Spring Tour of Wales, Italy and England. "It's very exciting for myself to put pen to paper," Alaalatoa said. "It's something that myself and my family are very happy about and I'm just looking forward to what the future holds. "I was already contracted for next year but when the opportunity came up to stay until the next Rugby World Cup, I discussed it with my family and the decision was a pretty easy one. "There's a great future ahead for the Wallabies. "We have a young squad that's developing each year so I'm just excited to hopefully be part of this group and what it can achieve. "There was a bit of interest from overseas which is always something you consider but for me, first and foremost, was to stay with Australian rugby and the Brumbies. "We have a tough camp here this week and a bit of a review from the disappointing result against the All Blacks. "Really looking forward to the three Tests over in the UK. "It's going to be tough but it's something the boys are keen for." 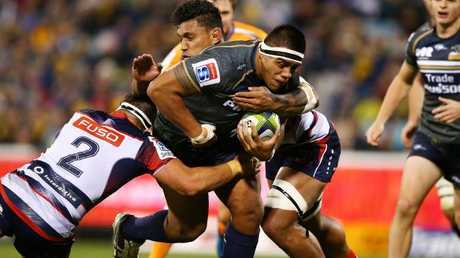 The Brumbies boast the current Wallabies starting frontrow in Alaalatoa, Folau Fainga'a and Scott Sio. Alaalatoa has played 59 games for the Brumbies since making his debut against the Chiefs in 2014. And in action for the Brumbies. "We are very excited to have Al commit to the club long term," Brumbies coach Dan McKellar said. "Allan's going into his sixth season at the Brumbies. "When he arrived in 2013 he was a young prop with enormous potential. "Now on the back of a lot of hard work he has reached that potential and has become a quality tighthead prop. "He's the cornerstone of our setpiece, but Allan's game offers more than just good scrum, lineout and maul. "His numbers each week with ball carry, tackles made, and breakdown involvements are consistently high and his work off the ball is outstanding. "On and off the field Al is highly respected by all at the Brumbies and he has already shown strong leadership qualities. "Without doubt over the next few years we will see Allan become an important leader of our club. "We are delighted that he has committed to Brumbies until the end of 2023."